online Reg - Pre-Register Now! We will contact you by email to confirm payment & registration! 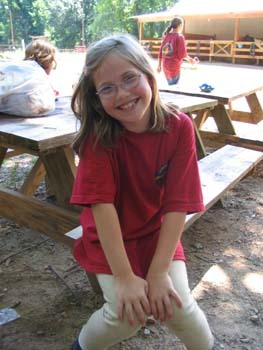 Registering Online will hold your spot for 5 days pending receipt of your camp deposit. We will notify you by email to confirm registration. No Fee for session changes if space is available in an alternate session, made at least 15 days in advance ($25 for changes less than 15 days); 50% deposit refund for cancellations made at least 30 days in advance; no cancelations less than 10 days. 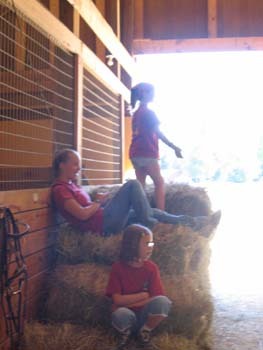 Leg Up Equestrian is a place for campers of all ages and abilities to feel safe while building lasting friendships with both horse and fellow riders. 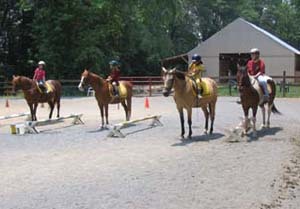 Using our levels basedcurriculum, campers learn the fundamentals of English Riding as they progress throughout the week. 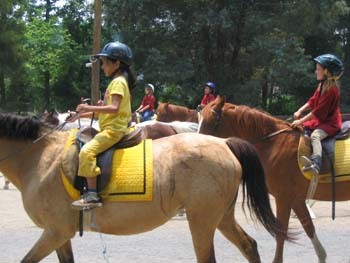 We offer two full riding sessions each day, and end our week with a real mini-horse show (parents invited!) in which campers earn ribbons for their achievement. 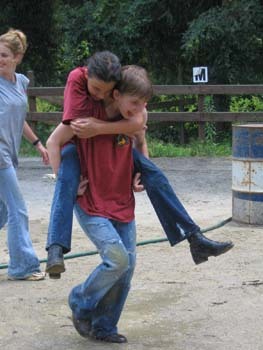 Games are competitive and non-competitive activities on horseback that engage both horse and rider as a team. Used effectively, games can be used to teach riding and riding related skills which emphasizes teamwork, speed, accuracy, and fun! Games are all about balance and coordination and control -- riding skills that you may not even realize you're using as you concentrate on grabbing that flag, making that hand-off or navigating your horse through an obstacle. 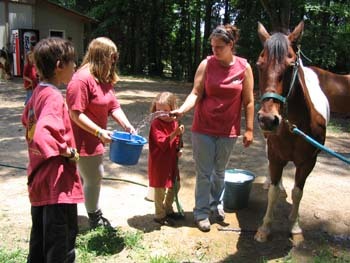 Campers learn the fundamentals of properly grooming and caring for their horses. At Leg Up we believe Horsemanship goes beyond what one does when in the saddle. The mark of a good horseman is demonstrated by our actions - the way we interact, care for, and show respect. Putting the horse's 'needs' before our personal 'desires' is one way horses build character in each of us. 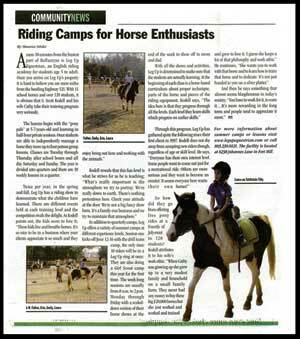 Leg Up Equestrian - Camps is a leading Fort Mill, South Carolina horse camp on NewHorse.com! 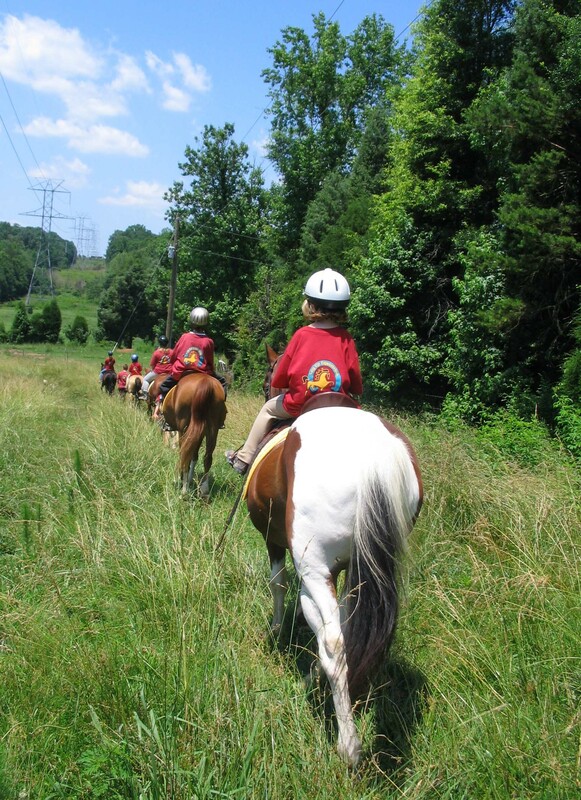 Leg Up Equestrian offers many specialty, clinics, programs and seminars throughout the year, in addition to our popular horseback riding summer camps. Please view our school Calendar on our web site for a list of upcoming session topics and dates. Events are offered for all riding and horse mastership levels with specialized courses for beginners, intermediate and advanced participants. Class sizes are limited, please ask your instructor for details and more information. Leg Up also offers a limited number of clinics and specialty seminars open to the general public. Please contact us if you would like to participate in one of these events or to subscribe to our mailing list. “The Complete Horsemanship Experience!” Campers "adopt their own horse" for the week and care for over 20 horses in our barn! 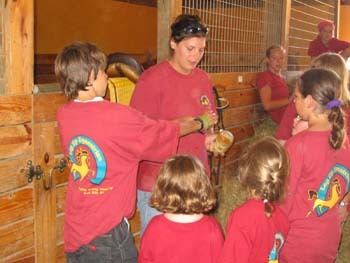 Daily riding lessons, mounted pony games, trail rides, grooming, bathing & "Paint your Pony" contest.. Campers show off their riding skills in our end of the week "Fun" Horse Show with real show ribbons (parents invited! ), Drinks and snacks provided. Mon.-Fri. 8:00 AM - 2:00 PM. [optional after camp prog. available). Horsemastership program offering Intermediate through Advanced riders training in Eventing, Cross-Country, Dressage, Stadium Jumping, and Showmanship. Extensive rider evaluations and coaching. days/times and clinic topics - TBD. Open to non Leg Up students by rider evaluation. 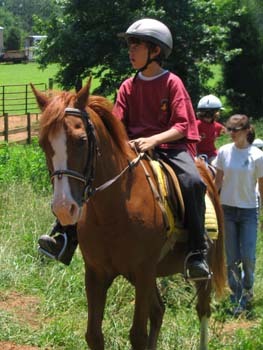 Various after camp activities offered throughout the week including Horseback Rriding! Late pickup available Mon.-Thurs. 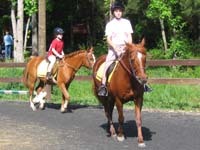 by 5:30 PM; Program ends Fridays 1:00 PM following End of Week Horse Show (parents invited!). - offered during Extended Session weeks only.